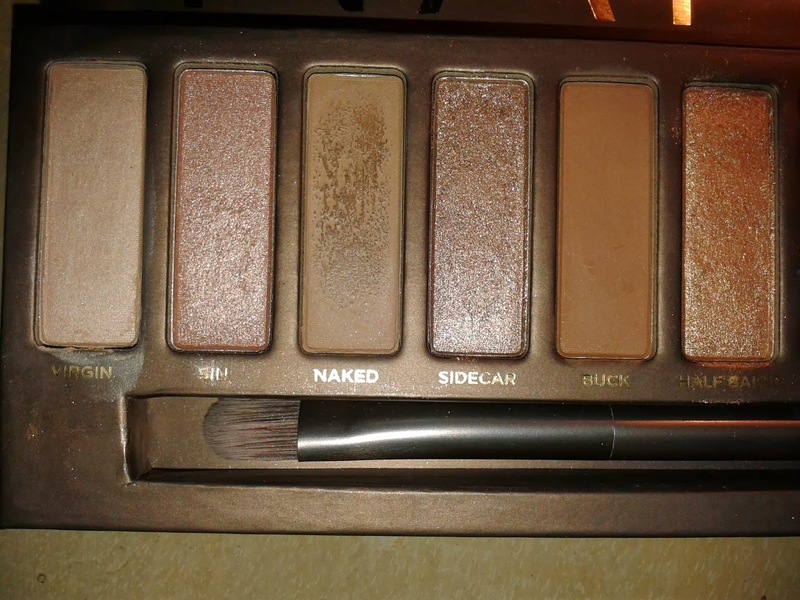 The Naked Palette by Urban Decay came out almost 3 years ago. 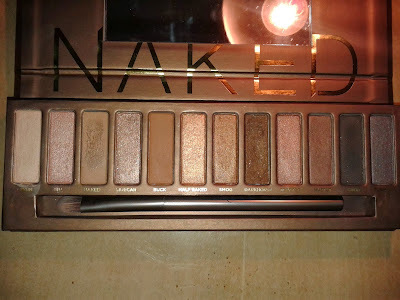 I have been eying it, and the Naked 2 Palette, up since then although I could not justify spending the £37 on some eye shadows. So this was easily one of my biggest impulse buys I have ever had! 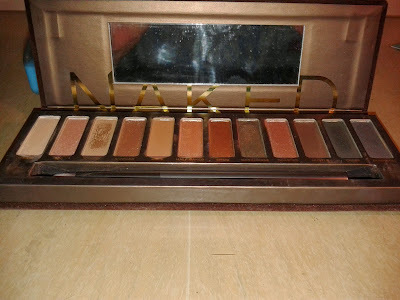 I went into Debenhams looking for a nail varnish gift for my sister and got drawn in by Urban Decay… and before I knew it I was at the register paying for the Naked palette and I must say I have not had one regret since! For £37 you get 12 (1.3g) shadows, a shadow brush and a primer potion (in sample size 3.7ml). 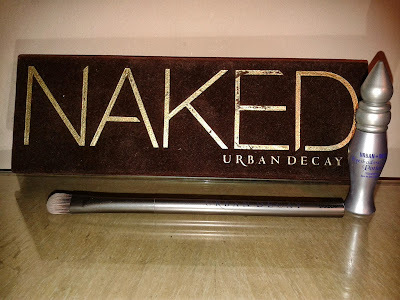 This does come out as very good value for money, compared to the price of singular shadows. There are a mixture of matt and shimmer shadows, mostly in neutral brown colours, but also a couple of deep purples, a blue and of course a smoky black. Left to right - Virgin, Sin, Naked, Sidecar, Buck, Half Baked, Smog, Darkhorse, Toasted, Hustle, Creep, Gunmetal. 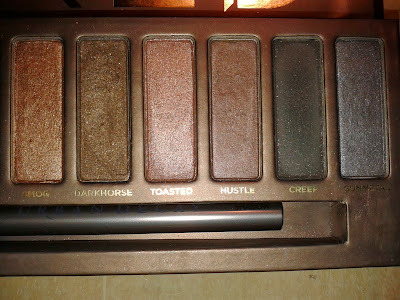 The colours are all extremely pigmented with minimal fallout with Darkhorse having the most fallout. The blend of shimmers and matts give a whole host of different looks that can be created with this pallet, ranging from a simple sophisticated look, to a dramatic dark smoky eye. 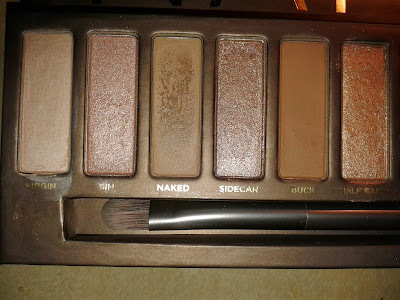 My favourite combination is to use Virgin, in the inner corner of my eye and on my brow bone, followed by Half Baked for the first quarter, Smog for the middle and a tiny bit of Darkhorse in the outer quarter and crease to give a nice look suitable for any occasion. Left to right - Virgin, Sin, Naked, Sidecar, Buck, Half Baked. 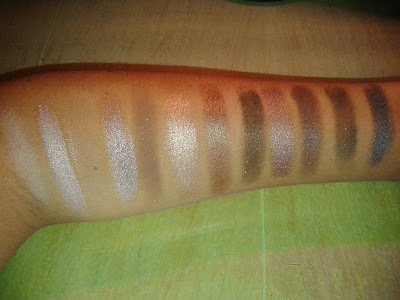 Left to right - Smog, Darkhorse, Toasted, Hustle, Creep, Gunmetal. The packaging is awesome as it comes in a foldaway magnetised box so there is no chance of it breaking or the shadows being damaged in transit (although the box does get a bit battered and doesn’t look new for long). It has a section to keep the brush and has a mirror for those days when you are in a rush and have to finish your make up on the go! 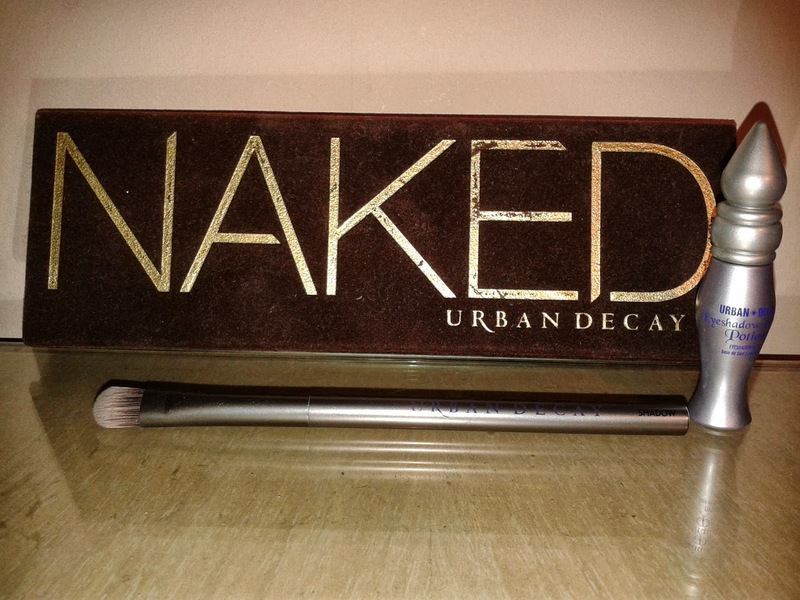 This pallet is perfect for people who want to upgrade their make-up to include some higher end products. 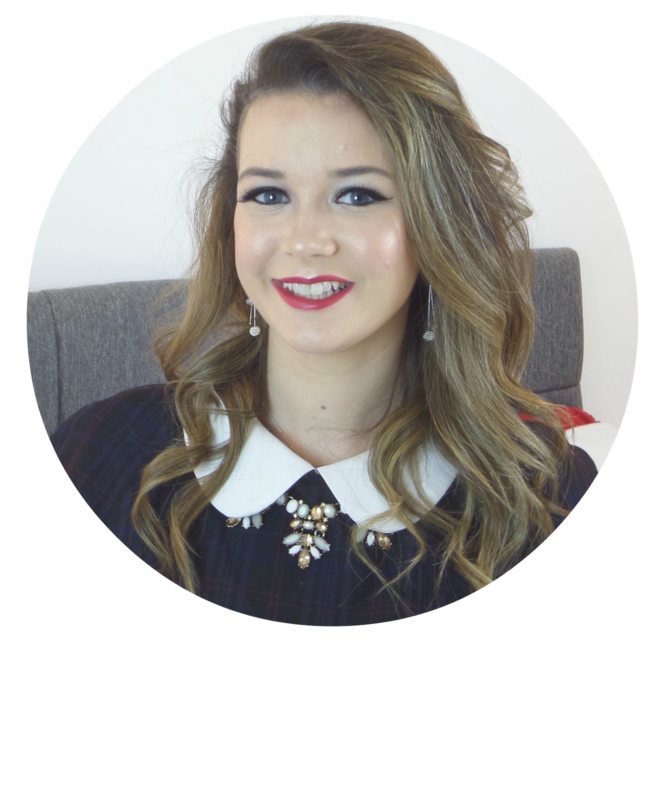 It is also perfect for people starting to explore make up as it gives so many options for what is really a reasonable price. 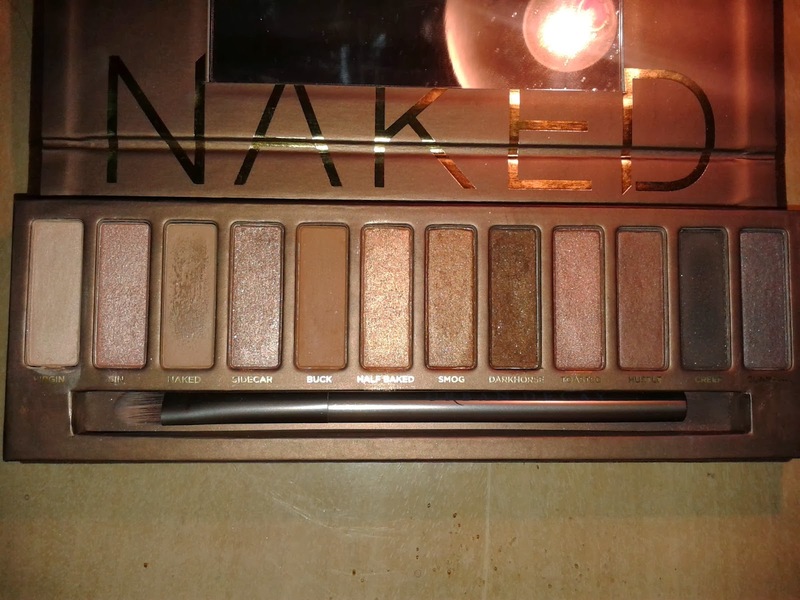 Have you got the Naked pallet? What is your favourite shadow combination?